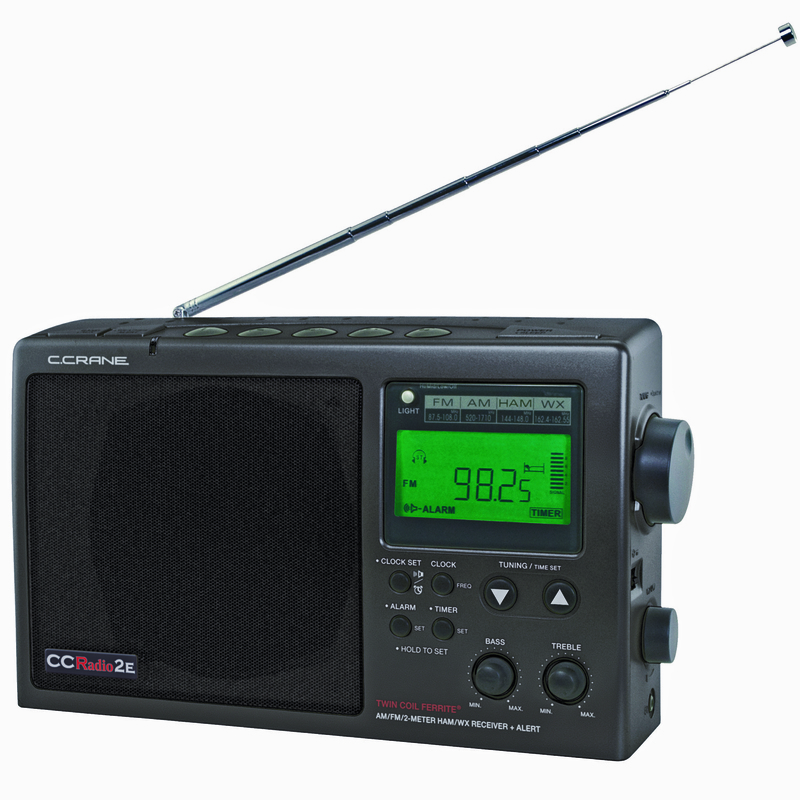 Today’s giveaway is the CC Radio-2 E.
Today’s blog question: What is your Christmas Eve tradition? The winners will be selected in a random drawing and will be announced Friday morning. Good Luck! 25 days of Christmas, 25 days of giveaway, am/fm radio, BLOG, cc radio-2 e, Christmas, FREE, giveaway, Good Luck! Growing up at my parents house, we all used to help my mom make tamales, and she would also make bunuelos (elephant ears). Then we’d eat that the next day, and hand them out as gifts to family. To prepare for tomorrows excitment and meal..
We open gifts and have pizza and sweets my wife bakes. We bake, have a light dinner by candle light, turn on Christmas Lights, listen to beautiful Christmas music all day… and today I have been listening to a Coast to Coast show about the historical proof of Jesus, and the Shroud of Turin. Having a pot luck dinner at my Aunt’s place. The dessert is always her famous apple crumble and plum cake! christmas eve is spent doing a whole lot of nothing in preparation for christmas day, when i also pretty much do what i want …. Christmas eve Mass, then dinner and gathering with friends and Christmas Story marathon on TBS. Doesn’t get any better than that! Merry Christmas to all! My Christmas Eve tradition is going to Church , Coming home and opening gifts and having wine and cheese with my partner.